When starting up Outlook, the Out’n About add-in is disabled. If an admin attempts to reinstall the Out’n About client software, the problem persists. 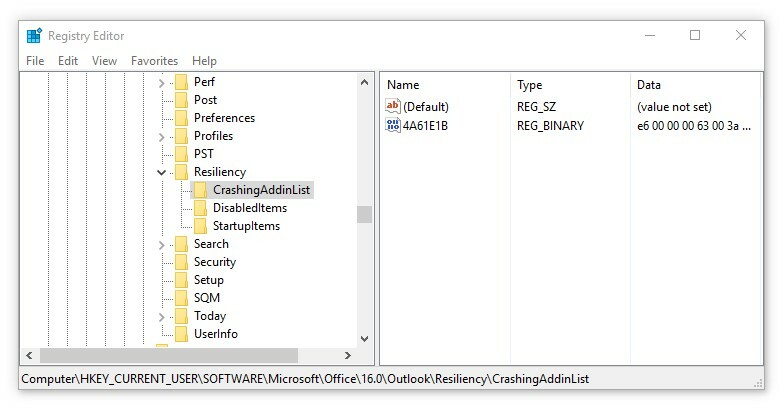 This is most likely due to an issue with Outlook 2013 Resiliency – when you install over a disabled on inactive addin it cannot be enabled correctly. 1. Please start by closing down Outlook, and uninstall Out’n About! for Outlook client from the machine. You can go to the “Programs and Features” control panel to view a list of installed programs. Uninstall Out’n About! for Outlook from here. 3. Next, you’ll navigate to the following folder inside the Registry Editor. In this example, we have version 16 installed. Your version will change based on what Office Suite is installed. Here’s a table of common Office years, and their corresponding version number. Note: if the user’s machine had older versions of Office installed prior – you may need to check ALL registry version folders, and perform step 4 on prior Outlook versions as well. For example, user may be using Outlook 2016, but you may need to perform Step 4 on Outlook 2013 keys (in 15.0 folder). 5. 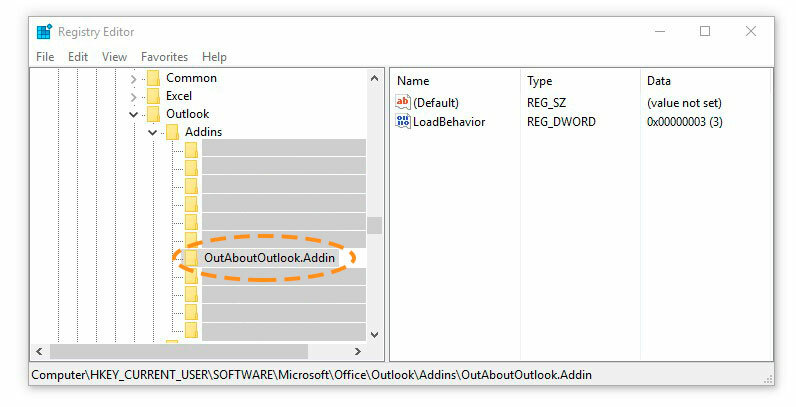 Next, navigate to HKEY_CURRENT_USER\SOFTWARE\Microsoft\Office\Outlook\Addins\OutAboutOutlook.Addin. You will delete any keys in here as well. 6. Next, please reinstall the Out’n About! for Outlook client Outlook addin. 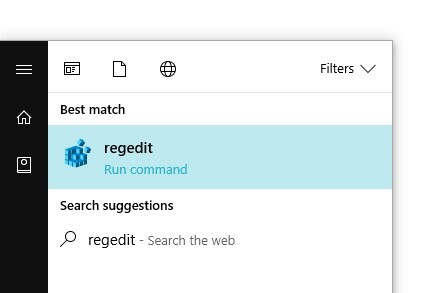 You should now be able to run Out’n About for Outlook with no more issues. If you still encounter problems, please contact us so we can assist you further.